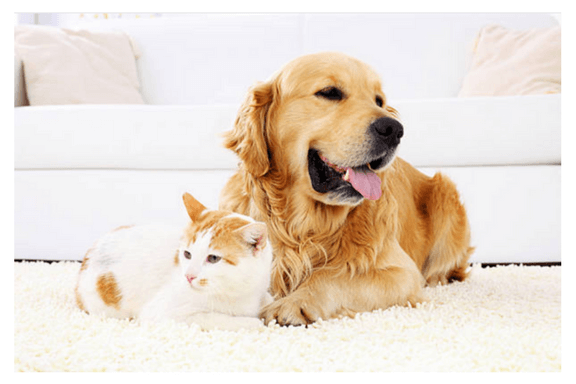 Pet Odor Removal | You Need P.U.R.T.® ASAP! Pet urine is a problematic carpet stain that requires immediate professional attention. Don’t attempt DIY solutions. Chem-Dry by the Millers offers P.U.R.T. to eliminate 99% of urine odors from carpet and upholstery in your home. The service starts with a blacklight inspection to identify all traces of pet urine in the carpet to ensure no spot is left untreated during the removal process. We then apply P.U.R.T. (pet urine removal treatment) to the stains found during the inspection. Some stains require multiple applications of the solution. The service concludes with our basic carpet cleaning and Hot Carbonating Extraction (HCE) to remove our solution, pet odors and surrounding dirt. A recent independent study concluded that P.U.R.T. 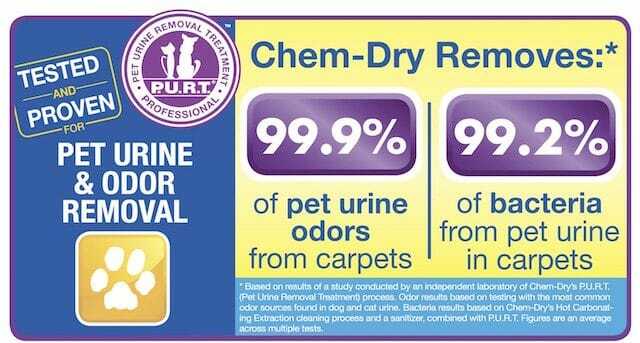 and Hot Carbonating Extraction (HCE) carpet cleaning from Chem-Dry combine to remove 99.9% of pet urine odors from carpet and 99.2% of bacteria from pet urine in carpet. 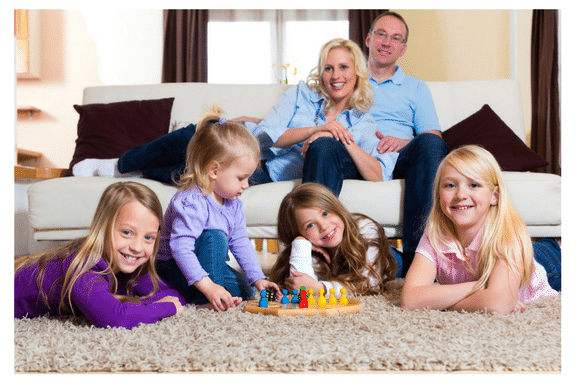 World famous cleaning from Chem-Dry by the Millers removes bacteria, dirt and allergens below the surface to help maintain the color, comfort and resiliency of residential carpet. 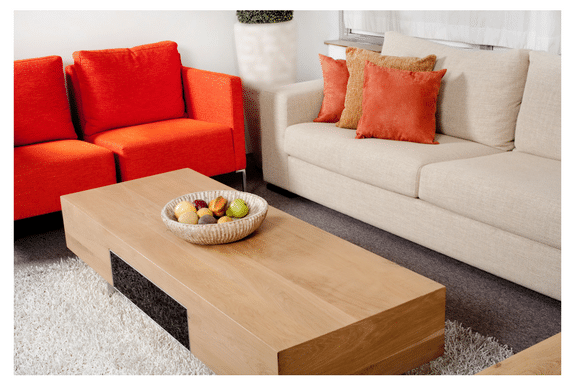 Superior upholstery cleaning from Chem-Dry by the Millers eliminates dust, dirt and dry soil from couches, chairs, recliners, ottomans and all upholstered furniture in your home. 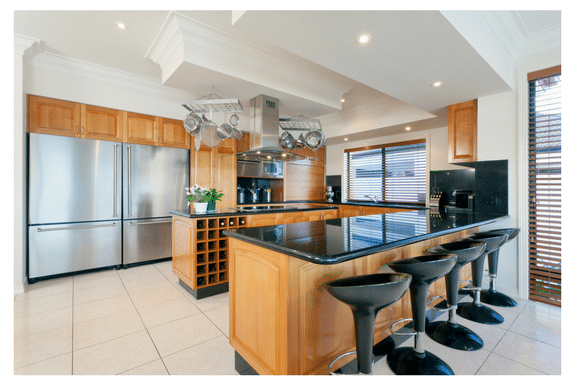 Professional tile, stone and grout cleaning from Chem-Dry by the Millers features all-natural solutions to clear bacteria and grime from grout and sealant for future protection. Delaware, Lancaster, Berks, Bucks, Montgomery, Chester & York Counties!